Everyone knows exfoliation is an essential step in any skin care routine. But often times, chemical products or even scrub-based products can be quite harsh on sensitive skin and can leave it feeling red, raw, and dry. If this sounds familiar, don’t despair. You can exfoliate! You just need the right gentle ingredients. To find this perfect formula, we tapped Alana Rivera, founder of skin care brand Etta+Billie, to explain why this particular DIY alpha hydroxy acid exfoliating mask is a must. Begin by putting the lemon juice and honey in bowl and whisking together thoroughly. Next, whisk in the coconut oil until smooth, followed by the yogurt. Once mask has been stirred until smooth, cleanse your face prior to use. Apply with either your fingers or a facial mask brush. (Pro tip: Avoid the eye area as the lemon juice can sting the eyes!) Let the mask sit for five to ten minutes and wash off with luke warm water. After rinsing, apply your favorite serum or moisturizer to lock hydration in! 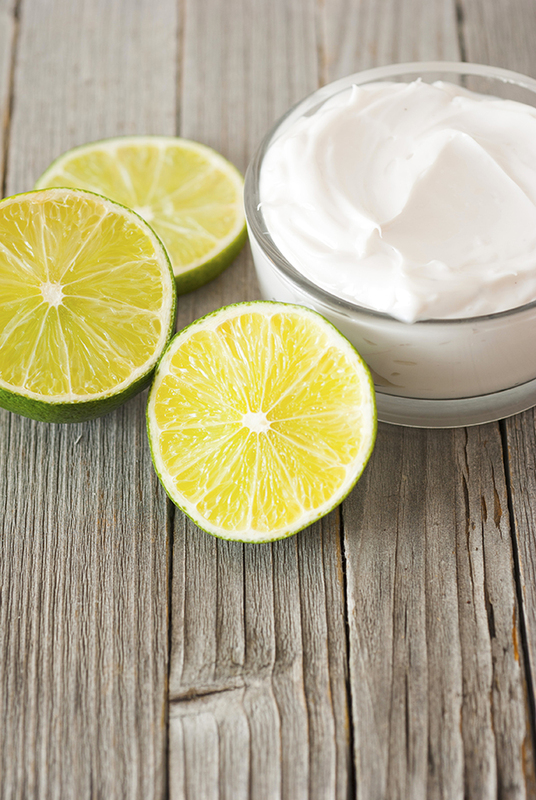 “Yogurt and lemon juice both contain AHA—alpha hydroxy acids—that gently and naturally exfoliate dead skin cells,” explains Rivera. “Vitamin C in the lemons contains powerful antioxidants to help fight free radicals aging effects on skin. Yogurt doubles as a hydrator along with honey which has anti-bacterial and anti-inflammatory actions. Coconut oils high vitamin E content helps soothe skin and moisturize.” She suggests applying this mask one to two times a week at night because lemons can cause skin to be more sensitive to sunlight.